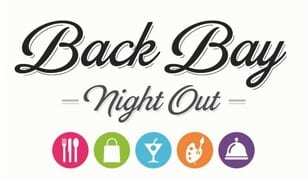 On Thursday, September 10, 2015 from 5-8pm, head to the Back Bay and the Prudential Center for Back Bay Night Out! Celebrate Back Bay businesses with in-store sales and special events throughout the Back Bay and at Prudential Center from mini makeovers, popup lookbooks, and sip and snacks! There will also be a lot of discounts and deals from local Back Bay businesses as well as a cookbook signing from Joanne Chang at Barnes & Noble. For more information about Back Bay Night Out, please head here.